I have had nightmares all my life that center on me struggling to get somewhere. I can’t walk for the mud. I can barely crawl down sidewalks. I go off a cliff in a car and crash into deep water, trapped and suffocating. I enter a familiar room to find the unfamiliar. I am searching for something, going through a city that eventually leads me into a maze of terror: strangers and propositions and written messages and disguises and tricks and games and tests that I must pass before I can go on. I’ve walked through the dark woods looking for people I am supposed meet, and it takes so long to reach them they are gone when I arrive, or they are dispersing and cannot see and hear my efforts to commune. I’ve been in a train crash, I’ve crashed on my bike and gone off a bridge, I’ve driven up and down on surreal roads that spell icy disaster and present scenes from on-high of multi-car and motorcycle crashes with fatalities. I’ve sunk in boats that I am trying to row. I’ve swum in the ocean to find no whales. I’ve climbed and fallen out of trees. These are my traveling dreams. Five nights ago before bed, after three consecutive nights of such dreaming, naturally exhausted and hesitant to sleep, I needed something to read so reached for a copy of Henry David Thoreau’s essay “Walking.” I fell asleep thinking happy thoughts, of the revery a man nearly 175 years ago felt sojourning through quiet nature hours per day by himself. The next morning, I awoke harried from a traveling dream that presented many dead in their vehicles on an eight-lane highway, a scene that was red and white and yellow..red blood, white road, yellow lights. I rose right away, a miracle because these dreams keep me groggy, afraid, and unable to move when I come out of them. I knew in my old soul I was ready, ready to take a new journey. I got to my desk with a pad of paper and pen. I wrote a word on a page by itself in big letters: “Traveling.” Then on the next page came my words, beginning with exactly what I heard upon awaking: “It is much more than walking, Mr. Henry.” A stream of words arrived: short lines, long lines, sentences, full paragraphs, inquiry into paths and roads, stories retold, for the first time told, transgressions, intimacies, and at places even rhyme. I edited nothing, looked back not a bit, and kept going and going until I stopped. What a morning. What a bridge. What a journey. 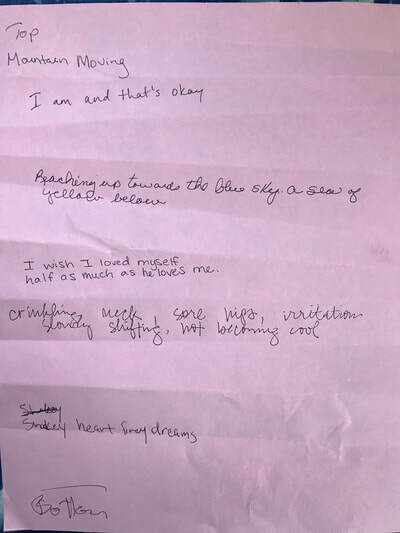 I have written every morning since, parsing my dreams to poems. I don’t know and don’t really care if A Muse or Divinity Itself or My Poet Self was speaking advice to me that morning. I listened. I trusted. It is the hope of poetry that poetry brings: words from anything, even bad dreams. My work in Expressive Arts lately—doing art for the fun of doing it without expectation and thoughts of outcome and creative ‘credentialing’ at all—has prepared me and made me ready for the journey I am on now. Expressive Arts is a stream of being. We all belong in the stream. Whether it is stream of consciousness, or stream of YOUR consciousness, we come from, visit, and return to the stream. I know I have caught a lucky break as a person, dreamer, and writer. I’ll see what the next phase of traveling brings. I am 57, and I have been a yogi since age 43. I have been #metoo declarant since late 2017, a survivor of sexual abuse since the age of seven. I have been touched inappropriately by yoga teachers three times, twice triggering me and once physically injuring me. We need in the #metoo era—and yoga has its own #metoo—to admit to and fix a problem in our industry, and it is this: Yoga has become a touch culture. Let’s look at this problem and move towards solutions, and fast. I open with two encounters I had recently regarding yoga’s touch culture within my local yoga community. Yoga historian Mark Singleton has found almost no evidence of teachers adjusting/assisting students until the 1930s, with the Krishnamacharya lineage. Creation of modern yoga postures, documented to have gymnastics, bodybuilding, wrestling, and dance influences, was on the rise in this period, and the Krishnamacharya lineage was a prominent player. The practice of adjusting/assisting in this lineage advanced, naturally, as its postural collection (via Iyengar) and movement patterns (via Jois/Ashtanga) did. 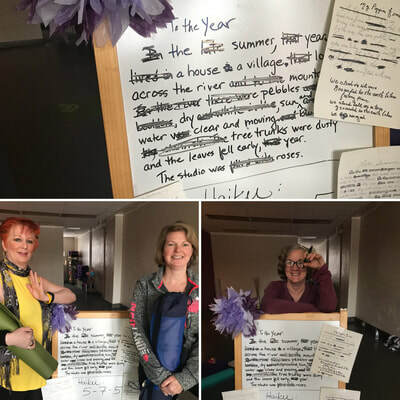 The combined innovation of what is taught and how it’s taught created a very large branch on today’s yoga family tree, for every Vinyasa Yoga style is born from Ashtanga, and Iyengar is a prominent global yoga style. Therefore, though some lineages are hands-off, mainstream, general yoga is a worldwide practice that utilizes what Krishnamacharya started: the touch factor. Today, yoga adjustments/assists are learned, and touch culture perpetuated, in four major ways: within a tradition (YTT and YT-CEU programs); from a teacher-student bond (‘My guru opened my heart chakra in Half Moon, so I do the same for others’); and casually in yoga’s open-source, observation field known as a general class (‘Today I saw this teacher do this amazing assist on a student in supine twist. I’m going to try that’). To a lesser degree, as well, the hands-on healing arts have played a role in advancing yoga’s touch culture. It is common, for example, for yoga instructors to be massage therapists, and they bring that license-to-touch into class. This multi-modality mash-up means yoga is morphing but also shines a negative light on our industry’s trouble with setting boundaries and limits. ‘What else (besides goats) can we add to yoga to make the yoga more? better? nuanced?’ worth more?’ Last, acrobatic and partner yogas contribute to touch prevalence and posture as a physical thing we do with others. Whether it’s adjusting, assisting, or massaging, a 200-hour certificate is all that is required to grant yoga teachers a near-surreal amount of power: potential physical dominance over students’ bodies. Irrefutably, our industry’s self-sanctioned right to touch students is the same agency that allows us to injure and abuse them. Injury and abuse are a definite and dark part of contemporary yoga history. One does not need to go far to learn facts: Yoga thought leader Matthew Remski’s crucial project, WAWADIA, consists of interviews, analysis, and reported findings of increased injury cases in our field. WAWADIA and his most recent work moving the conversation of yoga’s #metoo culture forward are mergeable studies and are bound to be yoga history classics. As well, impassioned yoga podcaster J. Brown aired this spring a series of interviews about yoga’s latest #metoo scandal, this one involving the Ashtanga lineage in general, Pattabhi Jois specifically. On May 14, Brown posted his interview with Remski. Guru status crashes (or lack thereof) occurring in the face of exposed abuse is not the only message Remski and Brown are sending. The difficult terrain we need to traverse in this troubled era is another. That we touch students at all in the #metoo era defies reason. From current statistics put out by The National Sexual Violence Resource Center about childhood sexual abuse to the staggeringly high #metoo statistics of reported abuse in Hollywood, we must acknowledge that a large percentage of us are sexually harassed, assaulted, and/or abused in our lifetimes. Our industry’s touch culture runs exactly counter to what we know about the needs of #metoos and other trauma survivors, for touch is a complex issue and for some a serious one. What’s more, that we touch students at all when we know of the negative effects a teacher-induced injury can have on a student is an industry-wide fail. Why do we risk it? Allow the risk? Bodily harm, litigation, and poor reputation as a teacher and industry are risks our touch culture creates. Touch culture to the degree it has developed in mainstream yoga is disrespectful, dangerous, legally suspect, and far right of where we should be in the #metoo era. Whatever cultural context inspired and advanced the touch culture in yoga from the last century to now, it no longer serves a large percentage of people. We are witnessing the very earliest attempts of a touch culture shift in the name of raised awareness, responding to yoga’s #metoo, and handling the touch factor in class. These barely scratch the surface of our problem; morphing and adjusting will be essential. First, showing promise is our rising awareness in yoga of human trauma. David Emerson’s mission of training in trauma-sensitive yoga through The Justice Resource Institute and the in-yoga and beyond-yoga fieldwork of psychologist Dr. Jamie Marich are two leaders who cast the welcomed lens on the victims/survivors who are taking our classes and on ourselves to be better informed. Mainstream yoga, though, is barely budging toward trauma competence, even though it is there where we need the biggest re-direct. Second, in February, Yoga Alliance responded to yoga’s #metoo by announcing its new role supporting the rights of all to practice yoga “free from abuse, harassment, and manipulation.” Its site’s’ new sexual misconduct resource pages and “#ahimsanow” call-to-action point to an admission of a problem. Yoga Alliance has no authority or resources to investigate or stop criminal activity, though; it remains a registration-based organization. What’s more, Yoga Alliance itself is part of the problem: that as an agency it approves, for training and then registry, many touch culture training programs and certified-to-touch teachers. Finally, the trending use of permission objects and gestures in yoga is an attempt to solve the problem of touch culture in the era of #metoo. However, permission objects and gestures merely divide classmates into two categories: those who grant permission to be touched and those who do not, whether for a pose, a class, or a lifetime. As Julie Kiger, owner of Portland Power Yoga, and other teachers like myself who have survived PTSD have reported and attest, students choosing touch or no-touch does not guarantee they are revealing what they really want or feel, especially those whose rights and voices have been silenced and compromised from harassment, assault, abuse, and other traumatic experiences. We need to remember that in general students want to do well in whatever realms they are studying. They might even want to please the teacher and might not want to offend the teacher - as was the case for me for years in yoga - which makes opting out a very hard decision. Permission objects and gestures even when they work right (and I’ve seen teachers royally screw it up) create, instead of a student-empowering environment, a divisive classroom hierarchy and not a democracy (forcing a vote rather than granting choice). Here are things we need to think about, talk about, and move to change when teaching mainstream yoga. Whoever you are—a teacher who touches students, a teacher who doesn’t, a student who loves touch, a student who doesn’t—I invite your stories, opinions, and input. Do not assume that the practice of touching students in a small setting is safe and scalable to a mass class level and is a way to build the yoga love. It is risky and perpetuates the perception that yoga is a giant touch machine, a contact sport. Equally, do not assume that light touch is universally emotionally comforting. Believe that our industry’s basic 200-hour training structure when training includes adjustments/assists perpetuates touch culture and needs to be strongly re-envisioned. Question, within our lineages and beyond, the purpose of physically adjusting students’ postures. Question, within our lineages and beyond, the purpose of postures themselves if we believe that certain ones cannot be taught, learned/performed/held, or mastered without a teacherly hand (or more) on the student. Do not function from the falsity that #metoos and other trauma survivors are not yoga students. We are, in probable large numbers. Do not function from the falsity that yoga students crave and thus need touch. Do not believe a general yoga class is so hallowed an experience it can treat/heal #metoos et al, and that with the help of touch, it will be made so. Do not assume that if we ask students if we can touch them, and they say yes, they actually want to be touched. Do not assume that students reveal their true wishes through permission objects and gestures. Realize the somatic dominance snobbery and innate, injurious nature behind performing assists that take students ‘deeper’ into their postures through our weight/heavy contact. Stop believing that beginners are so bodily unaware they need us to show them with our hands how they should shape their postures. Stop believing that our hands/bodies on students will wake them up and be a learning opportunity for them to be open, free, and surrendered. Stop believing that touch culture works and only goes amiss on rare occasion. ‘Accidents happen’ and ‘not everyone is a pervert’ is jingo I have heard yoga teachers use that reveals a turned, blind eye to the reality that we are all in the same yoga-representing boat. Do not push onto students our job to make mainstream yoga #metoo and trauma-friendly. It is unjust to add stress to the touch-averse and touch-sensitive by asking them to find studios, lineages, and teachers who don’t adjust/assist/massage. Stop adjusting. Stop assisting. Stop massaging. I stopped three years ago and am now learning how, instead, to invite all my students to experience their yoga on their own, in their own bodies, in their own time. Start reimagining yoga in the #metoo era as a hands-off practice that serves the masses. A democratic yoga that is invitational, inclusive, and student-honorific is possible. Yoga is a force, and it is complex. It can actually, alchemically, and (believers say) magically bring the body-mind complex, when given fair opportunity and good condition, to a better state simply from the acts of presence and practice. No matter how much yoga is going to have to morph in the #metoo era—no matter how strong our attachments to our current pictures of yoga in some lineages are—we must change, and soon. The good news is that true to its beautiful malleability as both the dancer and the danced of human psychology in the arena of culture, yoga can handle it. So can we. Our students deserve better, yoga deserves better, and we as professionals deserve better, too. When is a word like a pose? When is a pose like a word? Welcome to Yoetry. In Yoetry, we find common ground between yoga and poetry, experiencing how they both inspire and lead to each other. 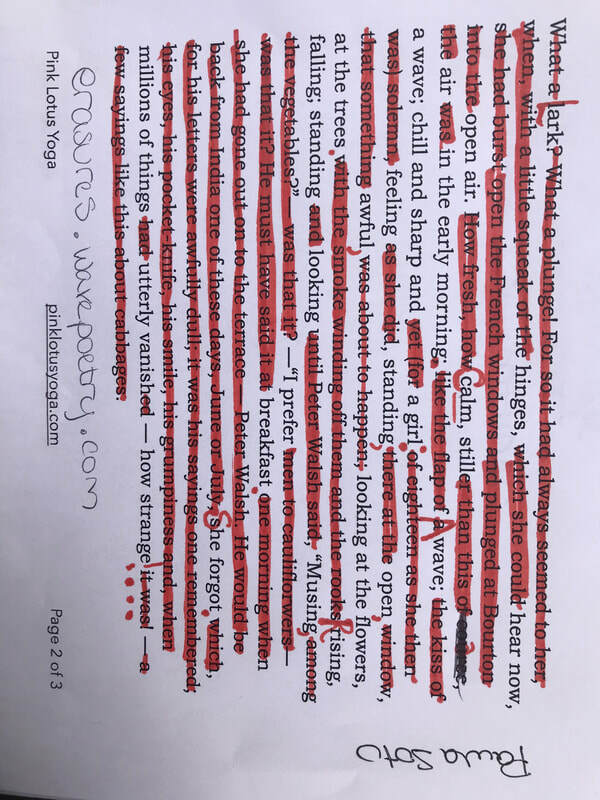 Using yoga technique—posture, breath, and meditation—as well as poetic form, we entertain the notion that poetry is as visceral and alive as a yoga form and is not created merely by scribbling with a pen onto or typing across paper. Too, we visit the idea that yoga is as innately economic and fluid and as alive as poetic language itself. 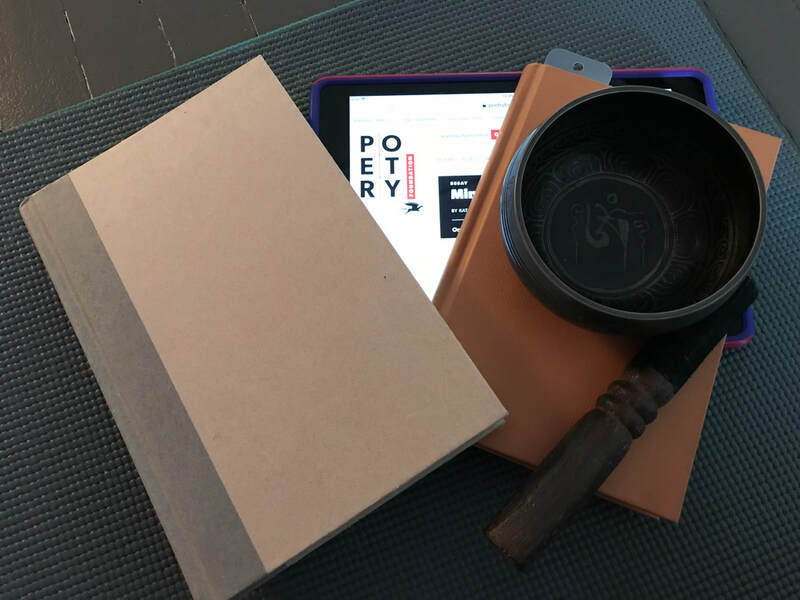 Yoetry sessions open with a brief introduction to poetry: its ancient roots, purpose, and historical poetry/yoga crossover that existed thousand of years ago. 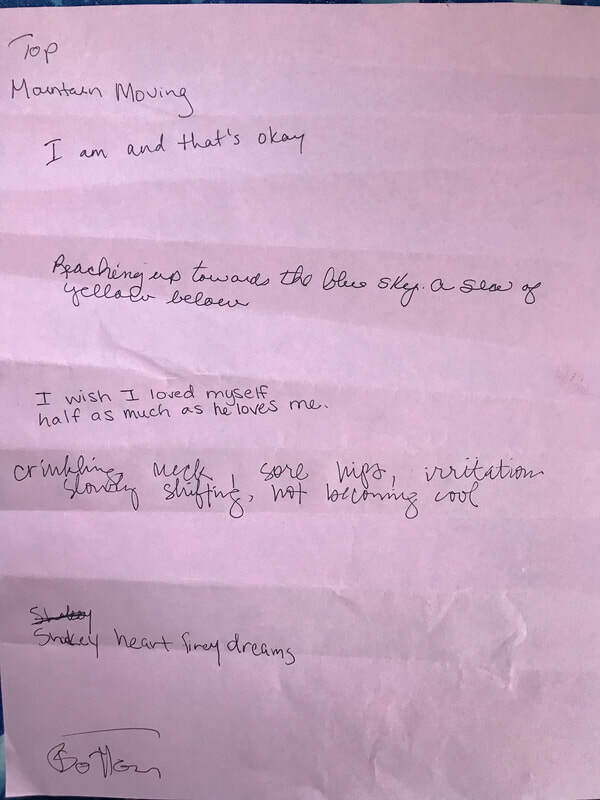 We close each Yoetry session with a poetry reading, sharing our work. No experience in either poetry or yoga is required to enjoy Yoetry. An eye on both the dancer and the danced.